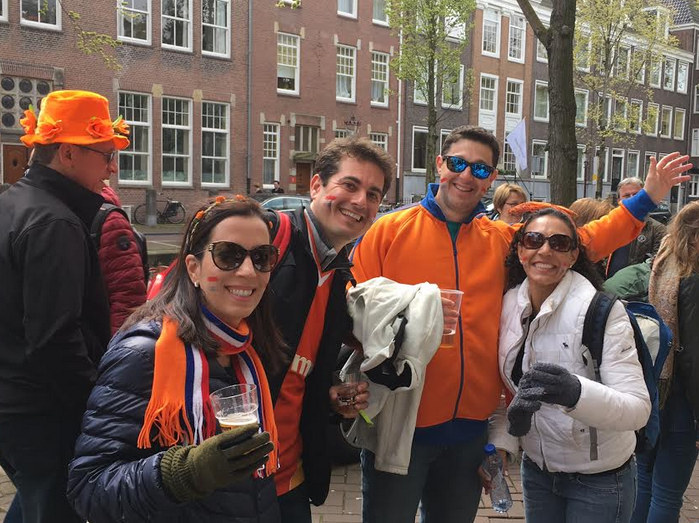 The King’s Day festivities passed off without problem on Thursday, despite the chilly weather. Although colder than Christmas in some places, hundreds of thousands of people flocked to giant flea markets and to music events around the country. Some 40,000 people headed for the Radio 538 party in Breda and watched performances Di-rect, Chef’Special, Hardwell, Kensington and others. In the Hague, 300,000 visitors attended the two-day The Life I Live festival in the city centre. The royal family celebrated with a walkabout in Tilburg, which was watched live on television by some three million people. The candid interview with king Willem-Alexander broadcast on Wednesday night also drew comment in many of the papers. The interview with the king drew positive reactions across the board. ‘I thought it would be 70 minutes of banalities but after a couple of minutes I was on the edge of my seat and I stayed there for the whole interview,’ historian and Dutch monarchy expert Dorine Hermans told the Volkskrant. In Trouw, media historian Huub Wijfjes looks back on other royal interviews which were, he said, reluctantly given. ‘Beatrix didn’t trust the press. She famously said: ‘lies reign’, he pointed out. Willem Alexander’s candidness is all the more interesting in this respect, because the king is ‘not keen on interviews either.’ However, ‘it is wise to show something of yourself every once in a while. The people are entitled to it and it prevents too much gossip,’ Wijfjes told Trouw.